This video shows a Californian narrating her experience of hopping across the border to get a vertical sleeve gastrectomy in Tijuana. Her story is one of many gastric sleeve success stories relaying out of Tijuana. The reviews of gastric sleeve in Tijuana have been positive partly due to surgical competence and partly due to proximity of the city to the U.S. Border States. Narration – “My name is Pamela Thomson; I’m from Riverside, California. I came to Tijuana to get the sleeve. I went through Medical Tourism. Everybody there was great to me. Before the surgery, I had lots of questions, I would back and forth the emails and everybody was just great. The price of gastric sleeve in Tijuana is 50-70% lower than that charged in the United States. For Californians, it makes a lot of sense to avail this surgery in Mexico than to throw away a significant stash of cash in the drain. And with number of success stories mushrooming, the safety concerns must be put to rest. The leading bariatric hospitals in Tijuana are at par with their counterparts north of border. They observe international protocols for hygiene and safety and boast of the hallowed JCI accreditation. The talent pool is mostly comprised of U.S. educated surgeons and nurses. The patient coordinators work tirelessly to provide seamless medical tourism experience. 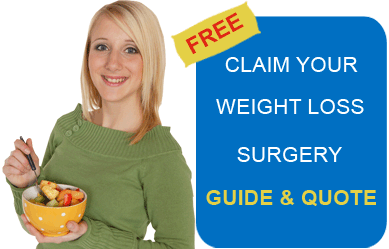 Claim your free quote for vertical sleeve gastrectomy in Tijuana by using the form on the right of the screen.